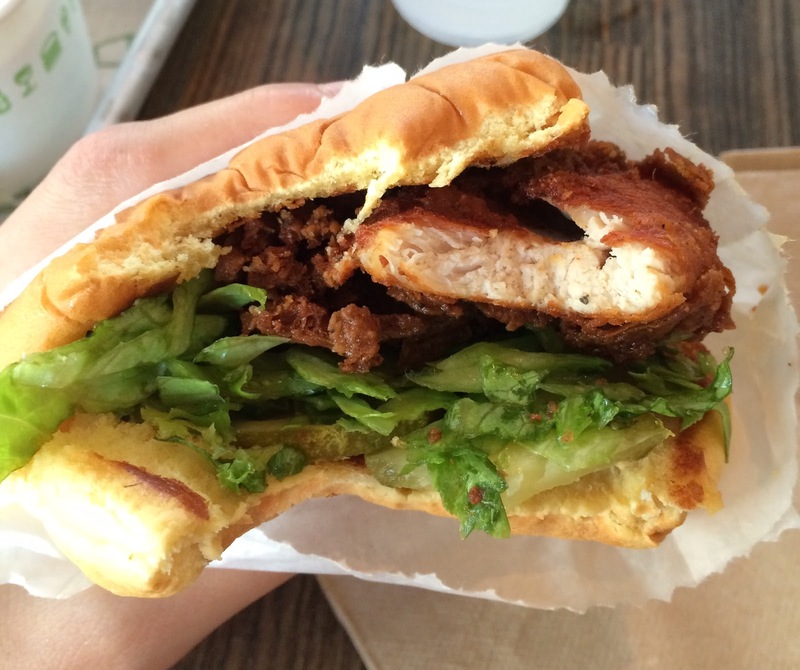 Shake Shack launched "ChickenShack" on July 7, 2015, and it's a limited time product solely sold in locations in Brooklyn. A crispy all-natural and antibiotic-free chicken breast with lettuce, pickles and buttermilk herb mayo are between the yellowish soft bun. I don't like mayo, so I got it without sauce. 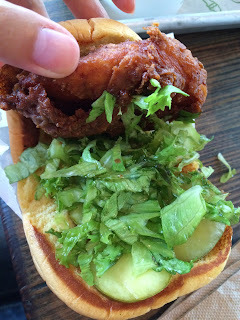 The burger I received had a quite dark, like half burnt, fried chicken. The photo used in the press release was golden brown, not dark brown. 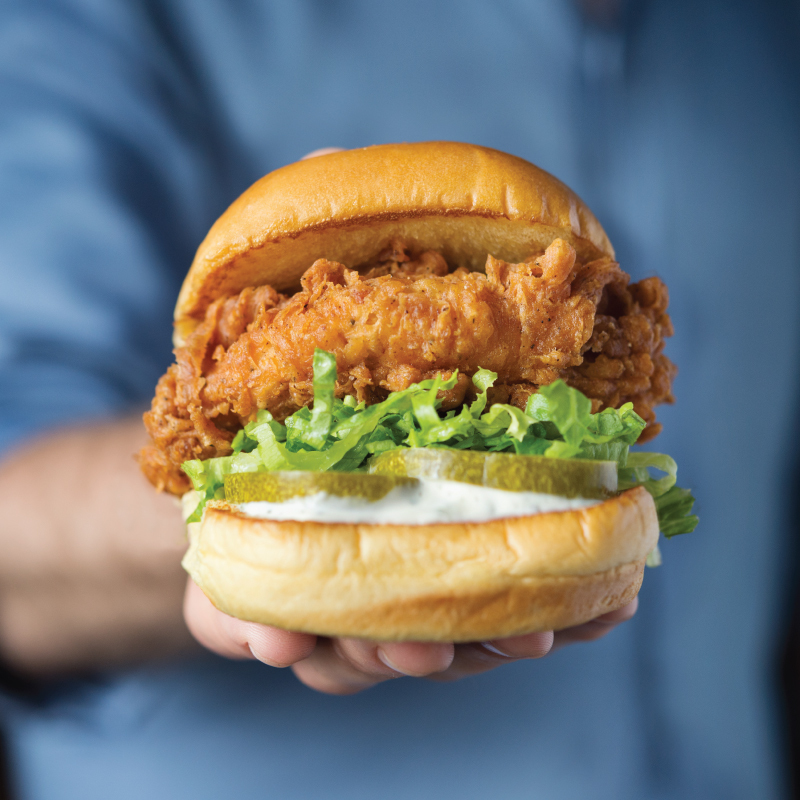 Underneath the dark fried chicken, there're shredded lettuce and a couple of thick sliced pickles. At least vegetables weren't brown and looked ok. 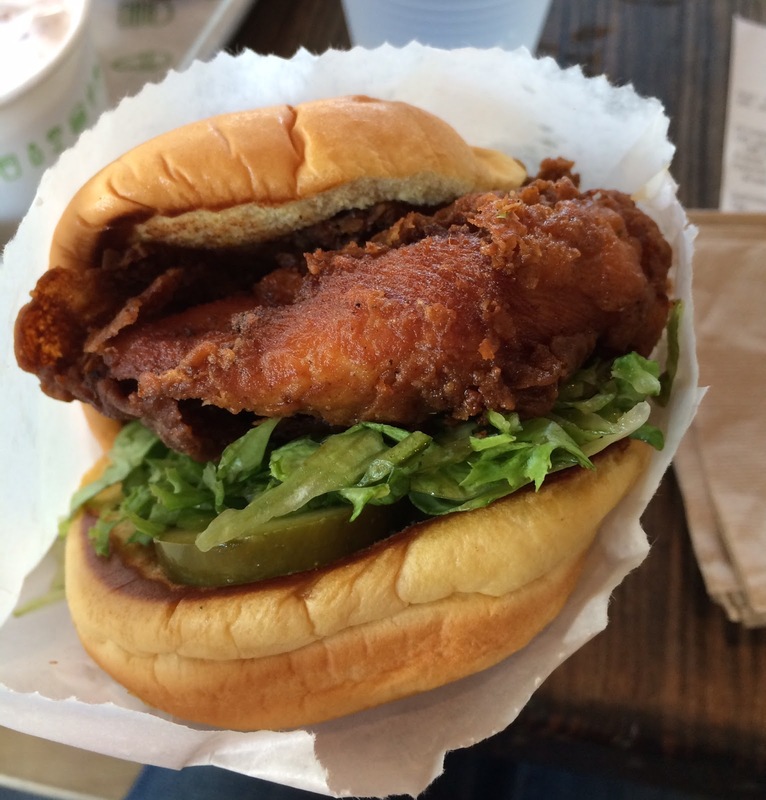 The bun was the ordinary soft and slightly sweet bun, and it's cold. --- I don't remember if they toast the bun or not though. The chicken was well seasoned and had peppery flavor, the batter was crispy and the chicken had firm texture as it's an actual breast meat, not reformed meat. Lettuce was soft, not crunchy except the roots, and pickles had dill flavor and were crunchy. 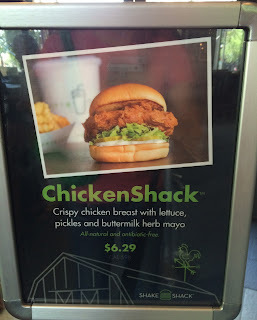 Without mayo, I thought it's enjoyable, however, half of the chicken was crispy batter and 6.29 dollars for a palm size burger isn't reasonable.